After all, so much of gardening is busywork. Whether it’s mowing your lawn on a regular basis, or checking to see when plants need watering, there are plenty of ways of automating the process. These gadgets bring the fun back into gardening while getting stuff done quickly and efficiently. Mowing a lawn is frequently dull. The first time of the season might feel satisfying but much like vacuuming your home, it feels a little never-ending. 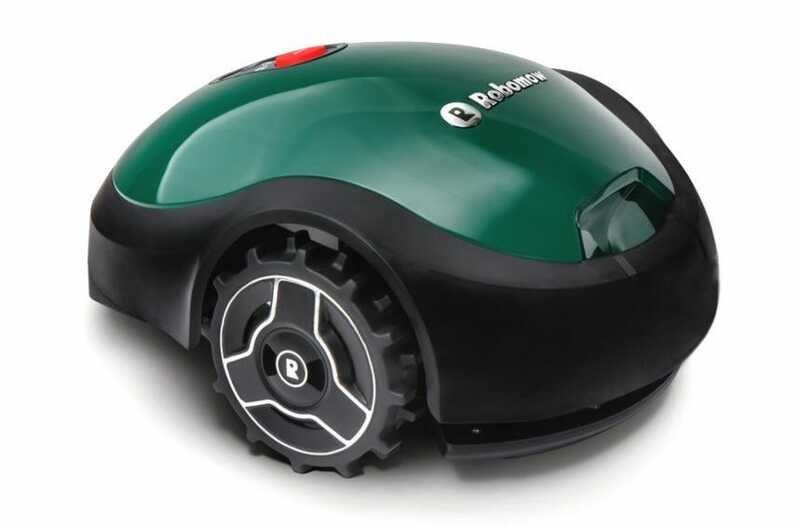 Like a Roomba for your home, the Robomow RX12 Robotic Lawn Mower does all the hard work for you, after an initial setup process. All you do is set up perimeter wire so that the mower knows where to go (and where not to go), and the rest is up to the robot. It covers an area of up to 2000 sq ft but isn’t designed for steep hills. It’s pretty good with regular lumps or bumps on your lawn though. It’s fairly basic compared to more expensive Robomowers. There’s no smartphone support or scheduling, so you have to tap the Go button yourself, but it’ll save you a ton of effort during ‘growing’ season, and at a keen price. Avid gardeners know that monitoring the weather is a key part of keeping your garden healthy and well cared for. 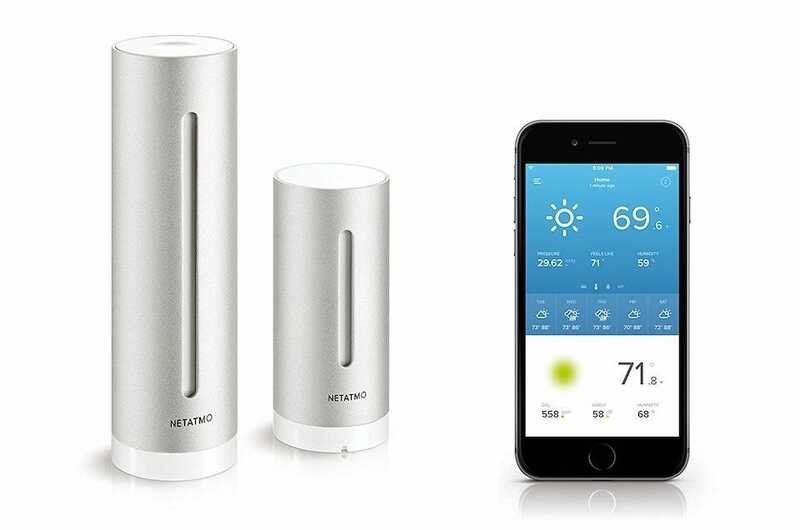 The Netatmo Weather Station means you don’t have to keep an eye on impersonal weather reports. Place the module in your garden, and it’ll report back on the current temperature, humidity, air quality, barometric pressure, and more. All this is transferred to your smartphone, enabling you to store stats and graphs for historical reference at a later date. It works kind of like an ultra-local weather forecast so you know exactly what’s going on at all times. The kit also includes an indoor sensor for tracking temperature changes and other alterations within your home. Compatible with Alexa, users don’t have to tap any buttons to find out more. It also works in conjunction with IFTTT, so you can receive emails for set alerts or even have your lights change color as a reminder. Knowledge is power, after all. Regularly forget to water or check up on your plants? Yup, me too. Parrot Flower Power tries to circumvent that by measuring the health parameters of plants in real time. Push notifications to your smartphone tell you when something needs to be done. The sensor has a database of over 6,000 plants so it knows how best to treat a multitude of different things. It tracks soil moisture, fertilizer content, ambient temperature, and light intensity. 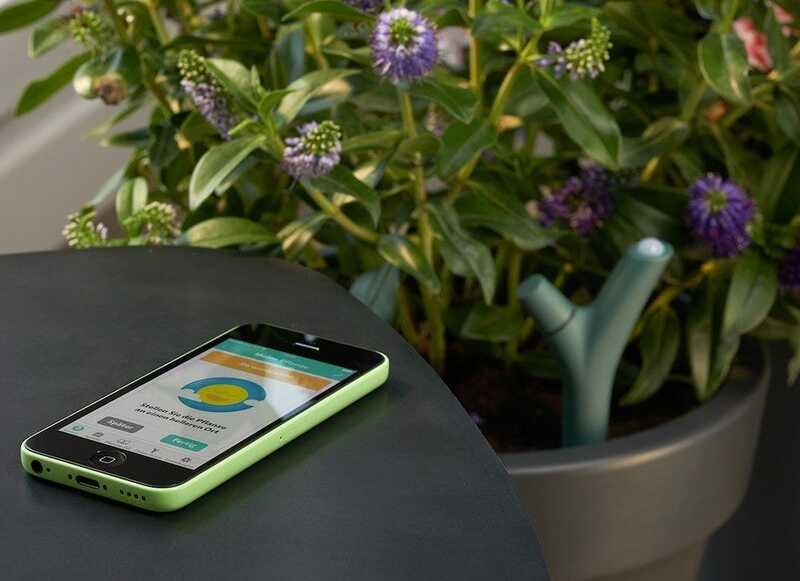 The device works both indoors and outdoors. Just slot it in next to the plant in mind, and that’s mostly all you have to do. It’s not a perfect soil tracker as it doesn’t inform users of how much water or fertilizer a plant needs to survive. However, if you’re the kind of person who forgets all about their plants, it’s a great reminder tool. Want a sensor style solution for just one plant? The Parrot Pot is that gadget. It goes one step further than the Flower Power, because it automatically waters your plant as and when needed. 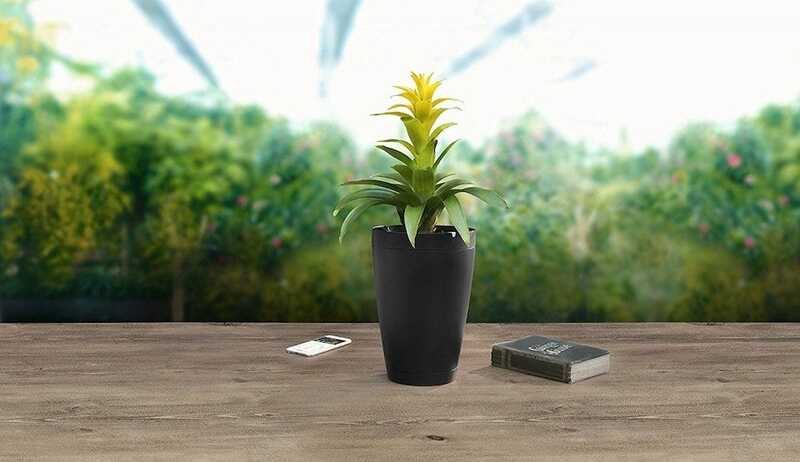 With optimized water consumption, it’s possible to leave the plant unattended for up to one month, safe in the knowledge that the Parrot Pot will keep your plant healthy. 4 embedded sensors track measurements such as sunlight, fertilizer level, temperature, and soil moisture. It’s more effective than leaving your plants in the care of someone. An extensive database ensures it caters for mostly every plant imaginable. Just don’t expect to plant anything big in this pot. It might look large but once you factor in the water tank, the available planting space is modest. 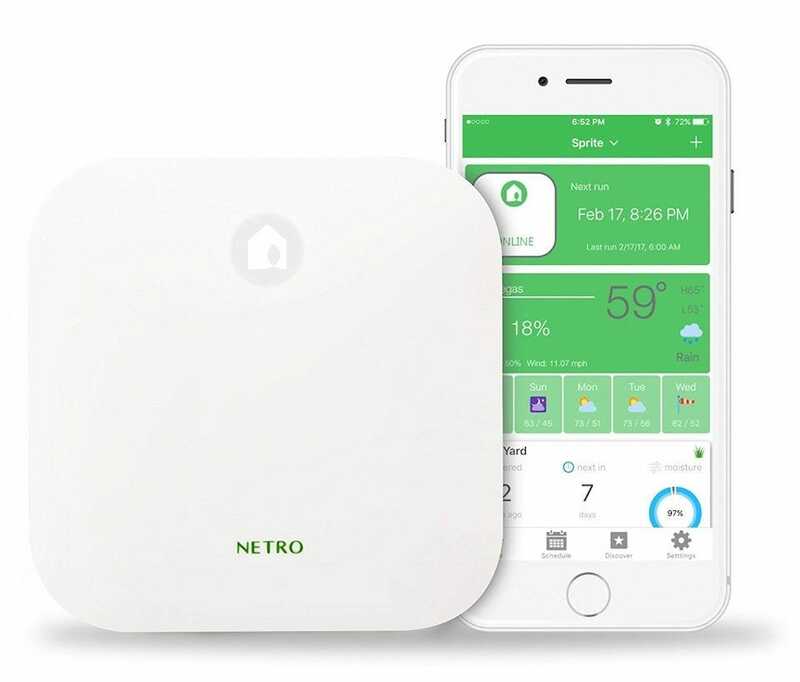 Setting your sprinklers up just got way easier thanks to Netro Smart Sprinkler Controller. The controller is fully automatic, dynamically creating watering schedules that work perfectly for the time of year and the plants it’s dealing with. Besides being far more convenient than requiring you to keep an eye on things, it’s cost effective and eco-friendly. It saves up to 50% of your outdoor water use through its intelligent approach. There’s remote access via your smartphone, so watering schedules can be tweaked from anywhere in the world. it also automatically complies with local watering restrictions, ensuring there are no accidental violations. It’s a real time saver if you have a large garden or lawn, and at a good price. Technology hasn’t reached the point where robots remove weeds for you. For now, try out Garden Genie Gloves and at least it’ll be fun clearing weeds. 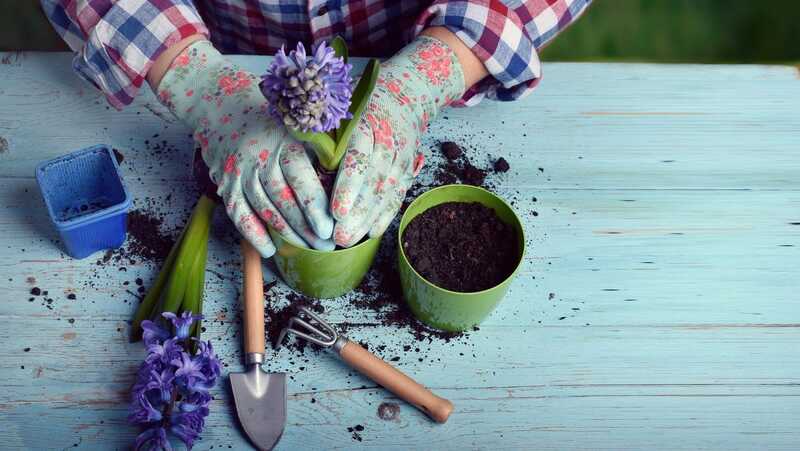 Unlike other gardening gloves, the Garden Genie Gloves have fingertip claws on each hand. 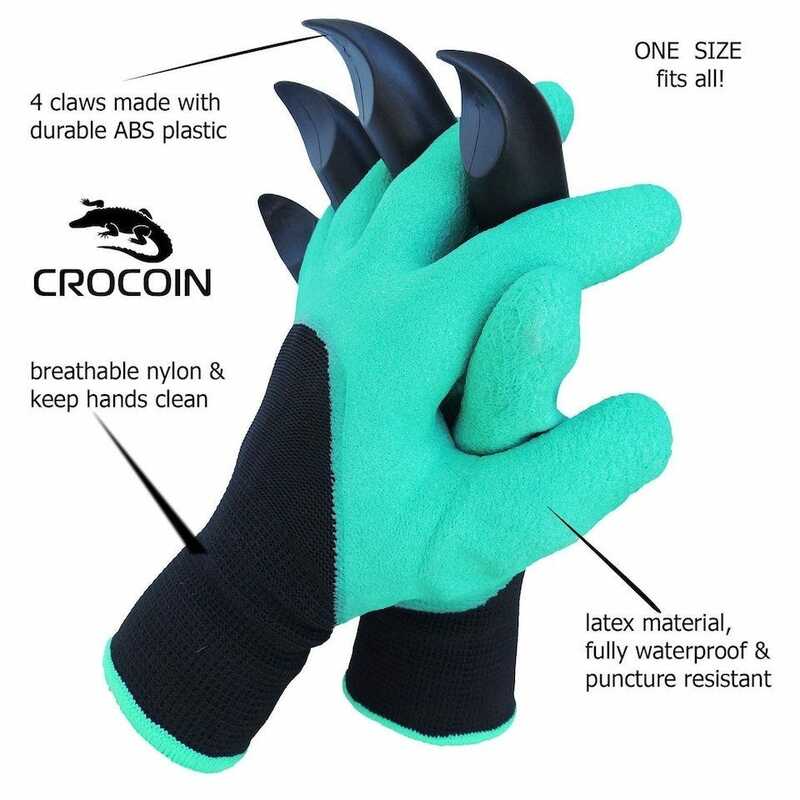 Besides being great for a Wolverine Halloween costume, it makes digging and weeding far easier than with regular gloves. Simply put the gloves on, and start digging or clawing at whatever you’re trying to pull out. There’s no need for additional tools as your hands do the job for you. The gloves are made from breathable material so they’ll protect your hands from sweat as well as dirt. They’re far more enjoyable to use than regular gardening gloves.